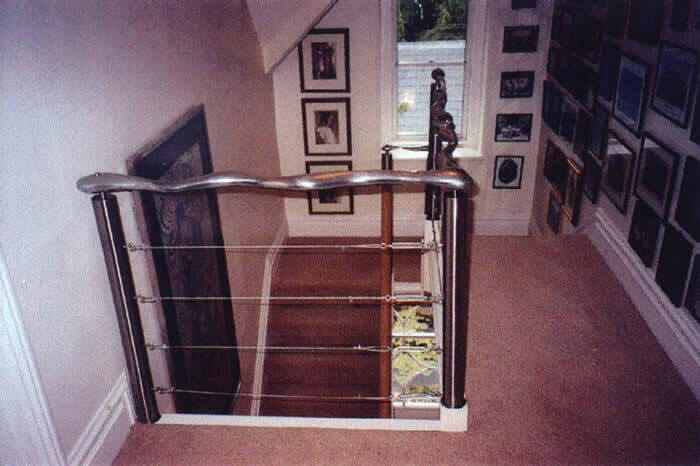 Welcome to our domestic portfolio, please click on the images to enlarge and then use the next button to see further images of each project. 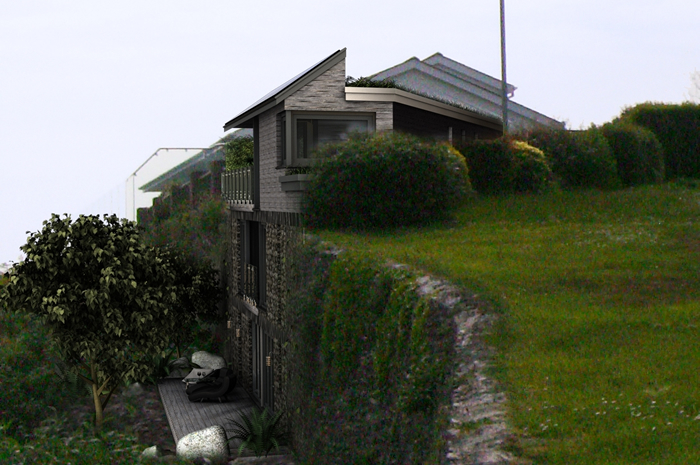 Planning has been obtained for a contemporary subterranean house in East Looe with far reaching coastal views. 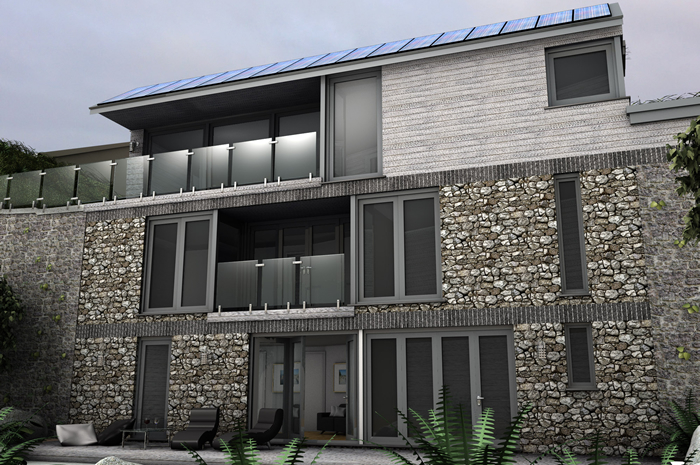 Designed to use a ground source heat recovery system linked to solar and photovoltaic panels making the property minimal to run. 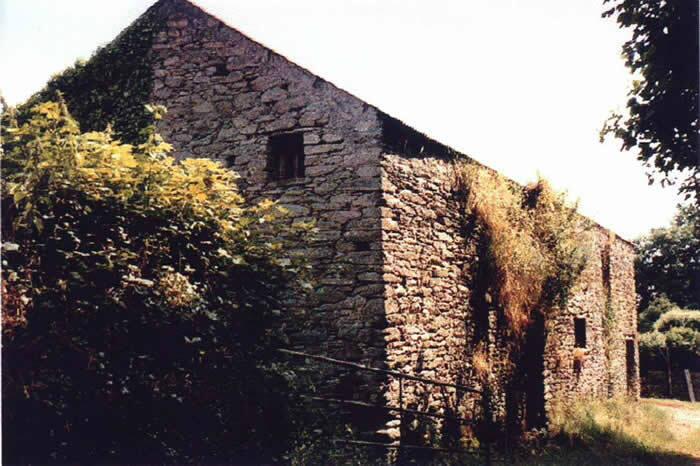 This was originally a working mill adjacent to the Lynher river, which over the years had fallen into disrepair. 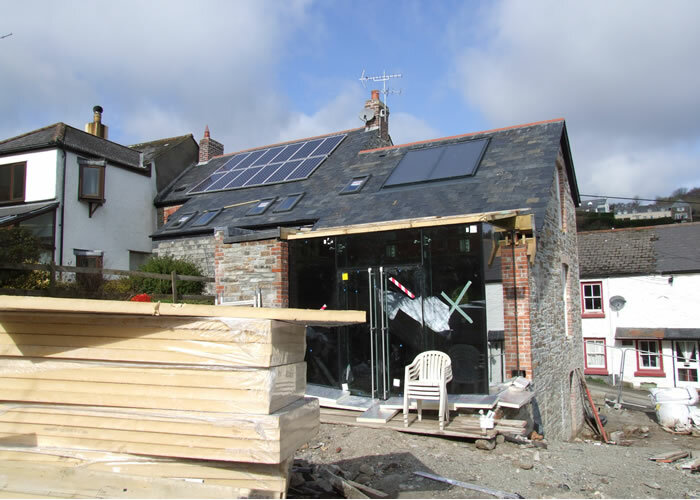 We were instructed to undertake the design work and to obtain the necessary permissions from the local council to enable the building work to proceed. 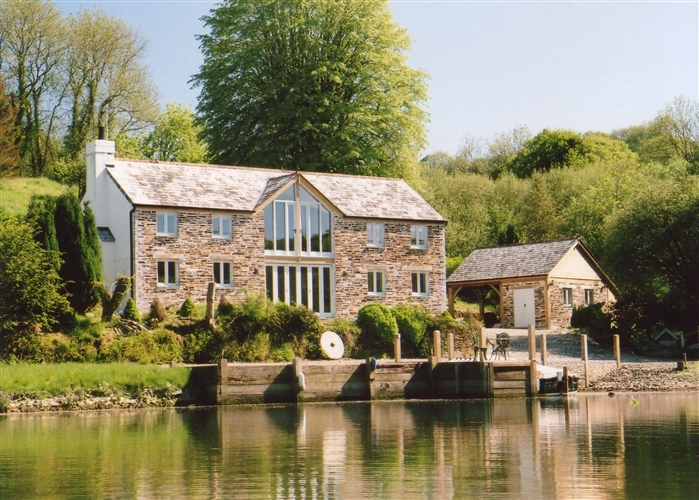 Upon completion, the conversion has brought life back into a building worthy of attaining in an area of outstanding natural beauty. 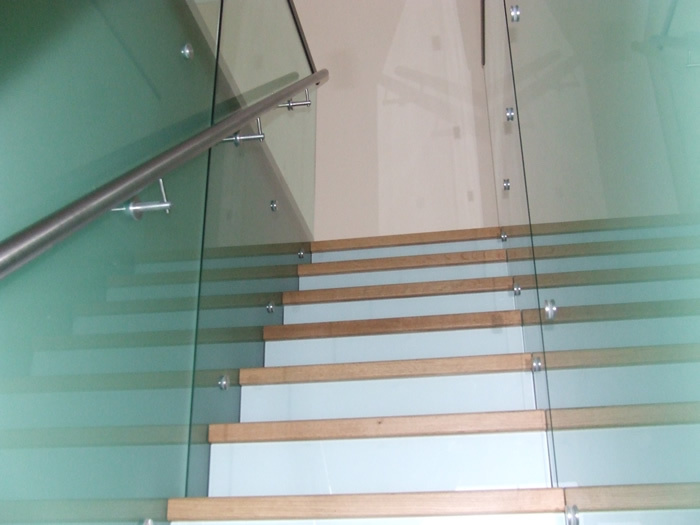 Due to the difference in levels between the two buildings, very interesting internal arrangements have been achieved, using various levels with interconnecting stairways. 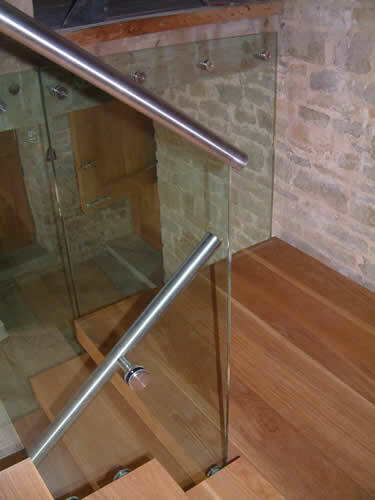 All local and natural materials have been used which bring atmosphere creating a very realistic project. 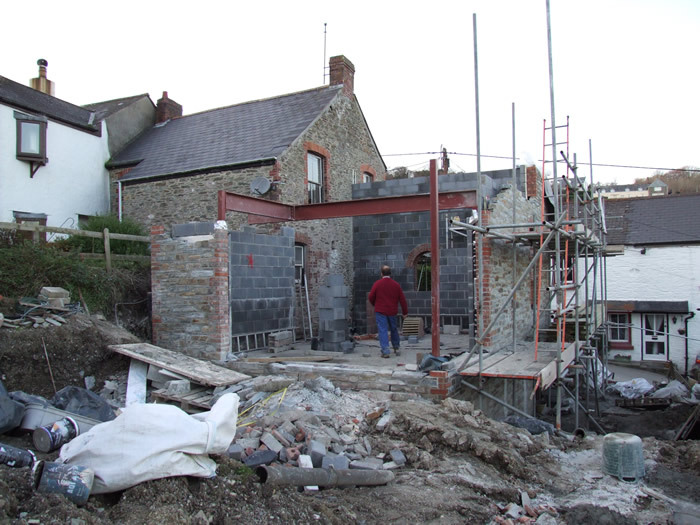 The brief was to design a new property with double garage. 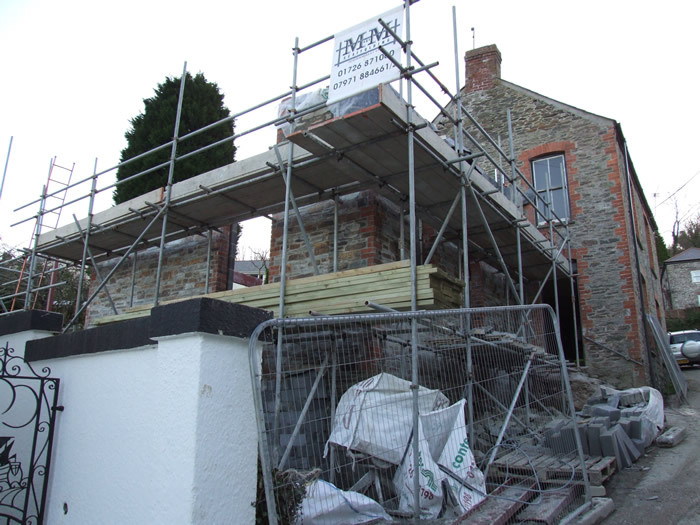 The building has been designed to fit between two other residential properties. 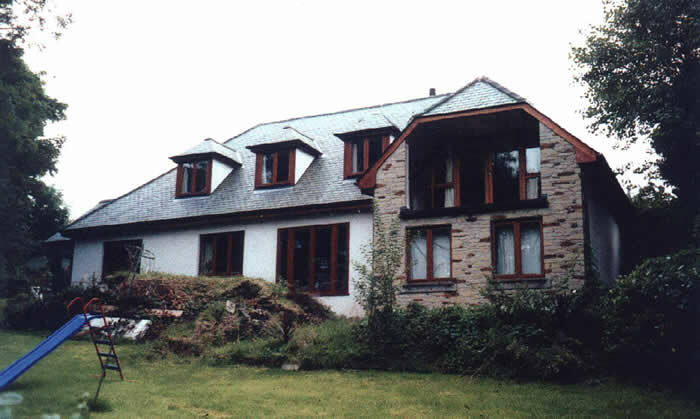 The ridge line has been stepped to provide a natural step between the properties either side. 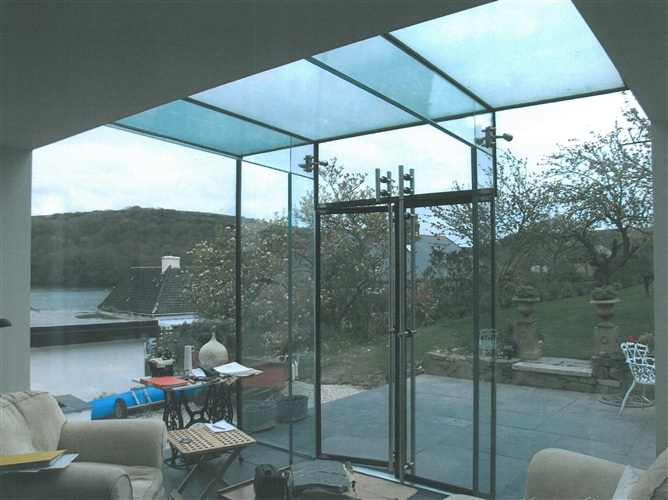 The south elevation has a large area of glazing to make maximum use of natural light. 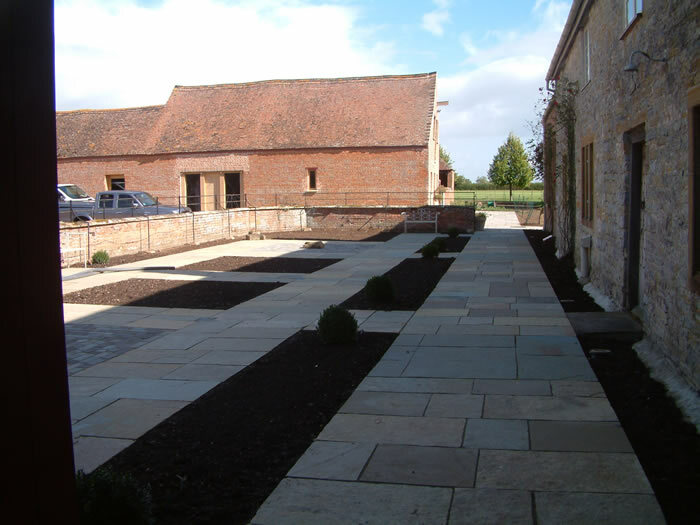 The design also made good use of the topography of the land. 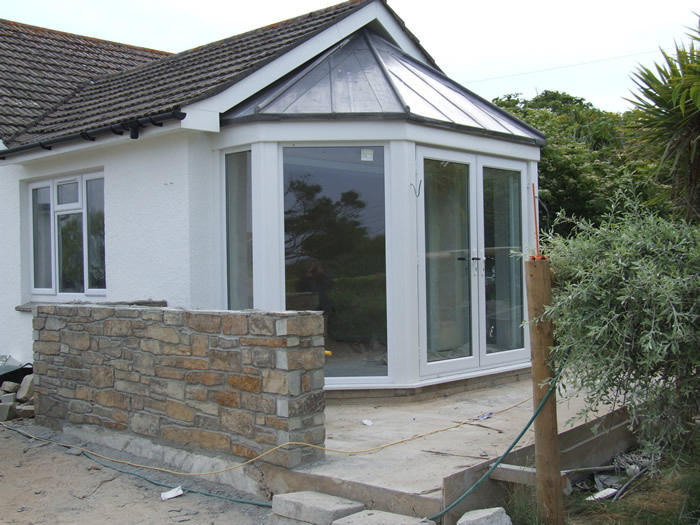 Extension and alterations to property in Constantine bay. 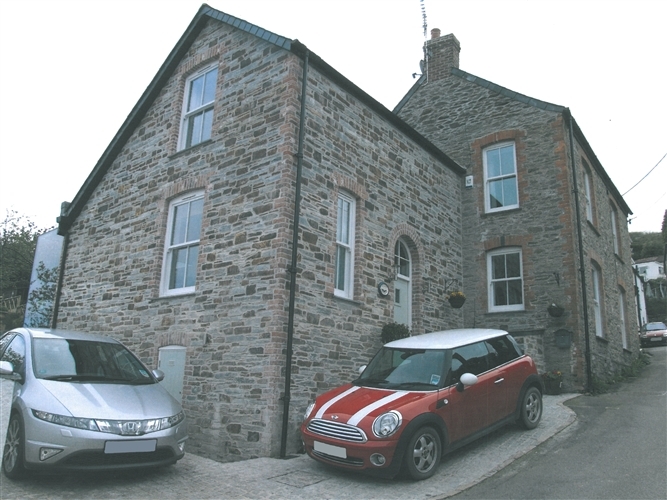 These two adjoining properties have been used as separate letting units. 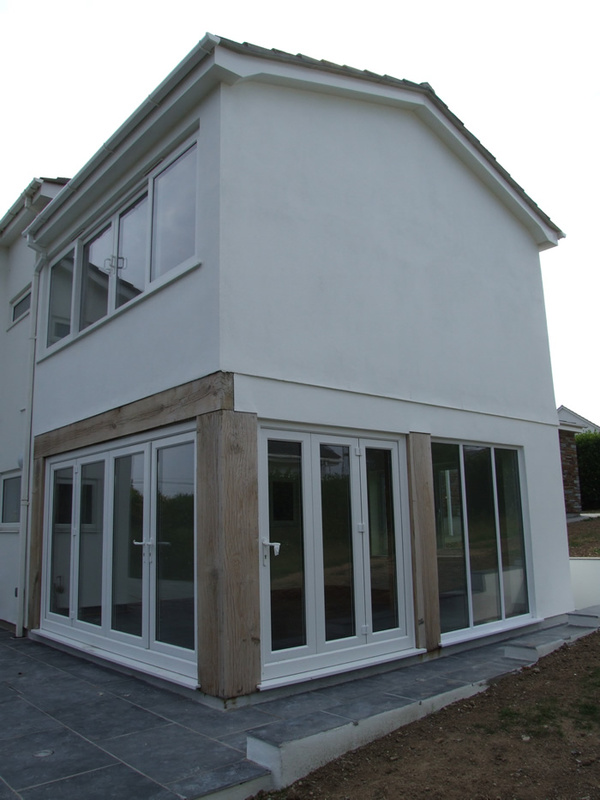 The project involves combining the two units to provide one large letting unit or possibly later, a large family home. 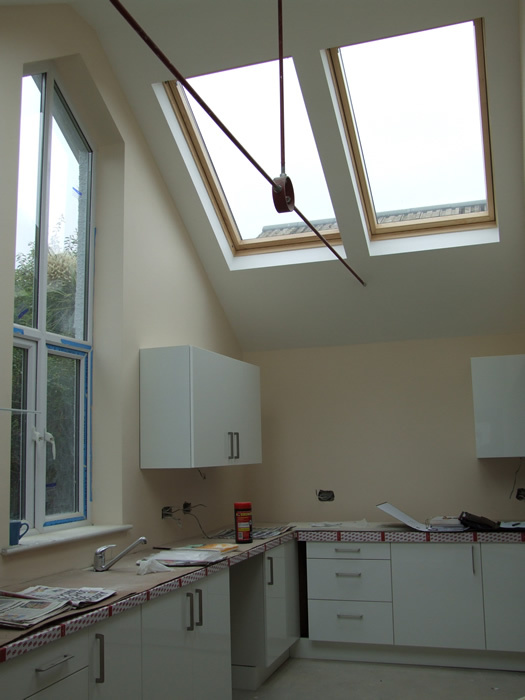 An extension to the rear along with internal alterations truly bonds the two properties into one unit with a large kitchen area. 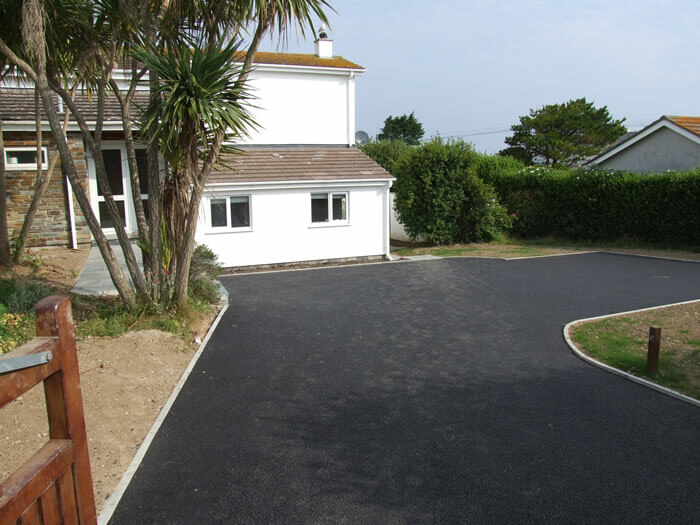 This project involved external alterations to the driveway and landscaping features. 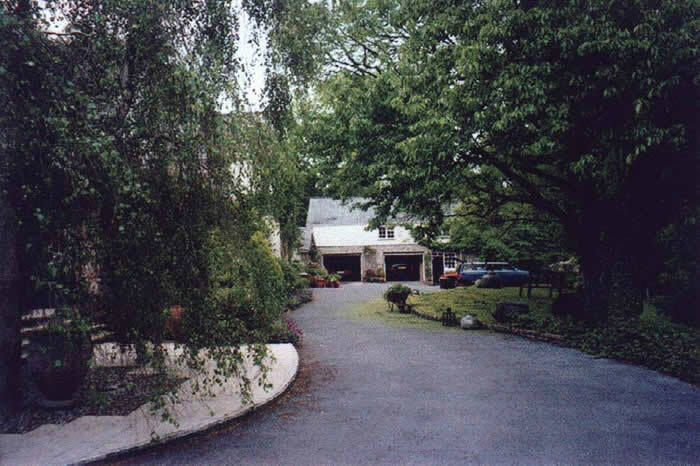 The driveway and main entrance were re-designed to be more visually pleasing. 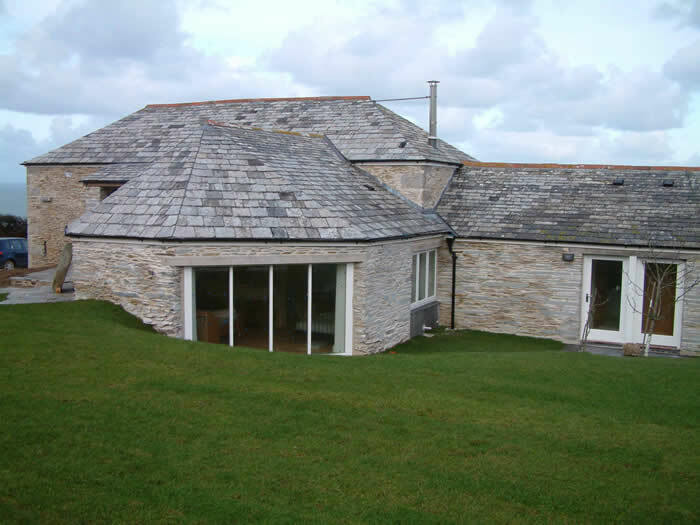 The creation of a curved natural stone wall separating the parking area and rear dwelling entrance helped to focus the eye on the dwellings main entrance. 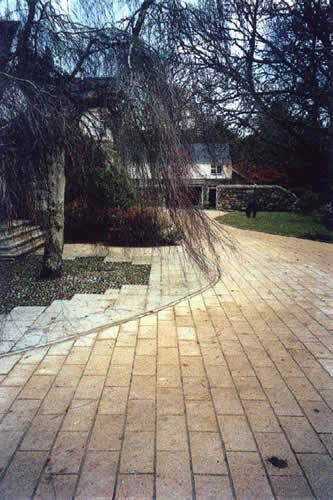 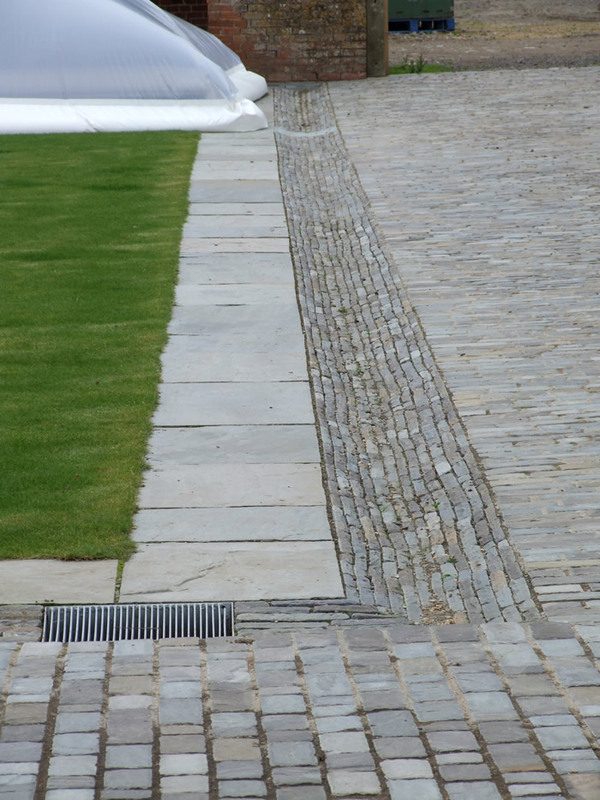 Blanc De Bierges pavers were used in construction along with local natural stone. 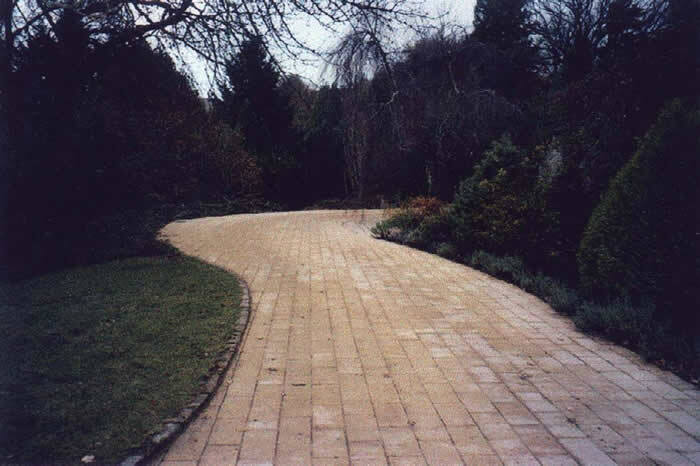 Recessed lighting was incorporated into the driveway to create a subtle effect. 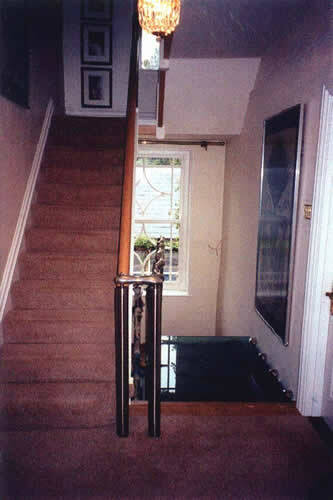 Internally, the property had been extensively extended and modernised to the extent that the original staircase and bathrooms looked out of place. 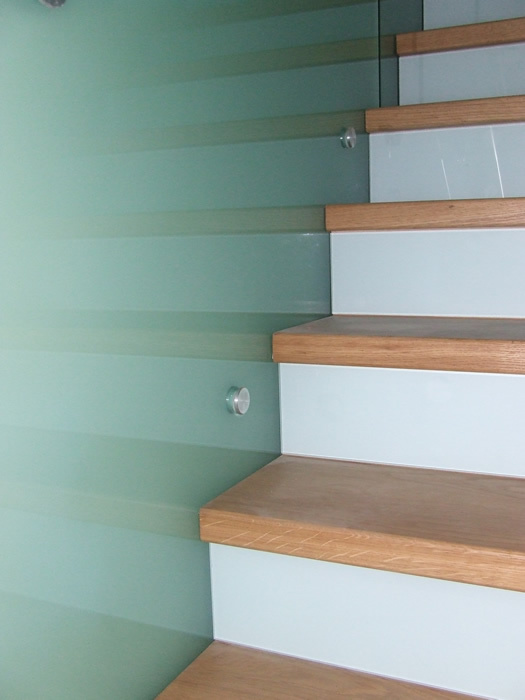 Andrew was commissioned to come up with a visionary design for a new staircase and a redesign of the sanitary accommodation. 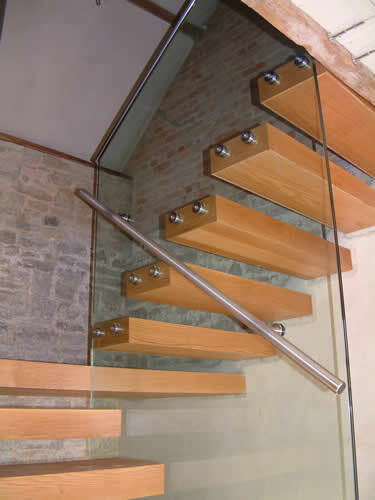 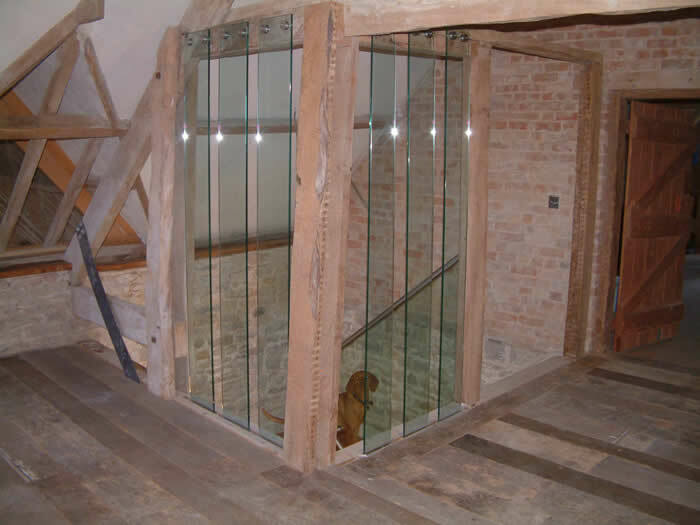 Glass and cast aluminium was used for the main staircase giving a light spacious feeling. 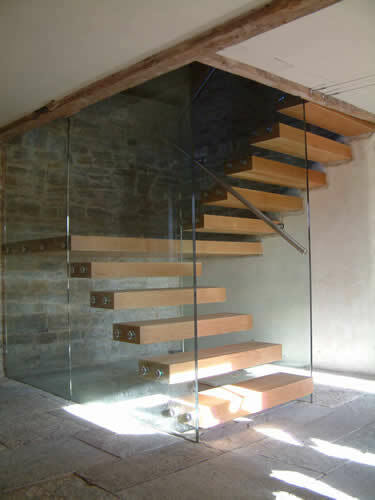 Design for the staircase pushed modern working methods to the limit and resulted in a much-talked about structure. 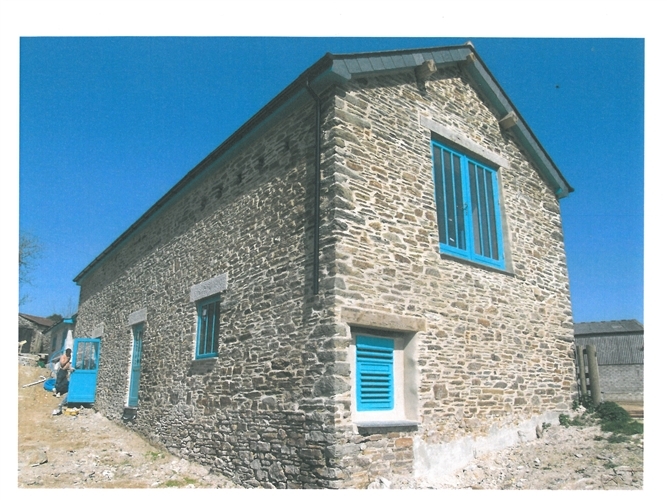 The property is a three bedroomed stone built end of terrace house in need of modernization, unusually the garden to the property is off set to one side. 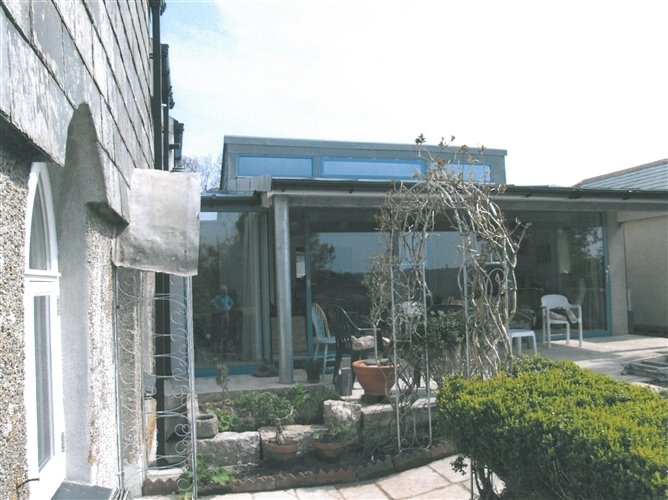 The extension to the side and rear provides a lounge with part glazed roof overlooking the garden a new entrance with level access and an additional bedroom. 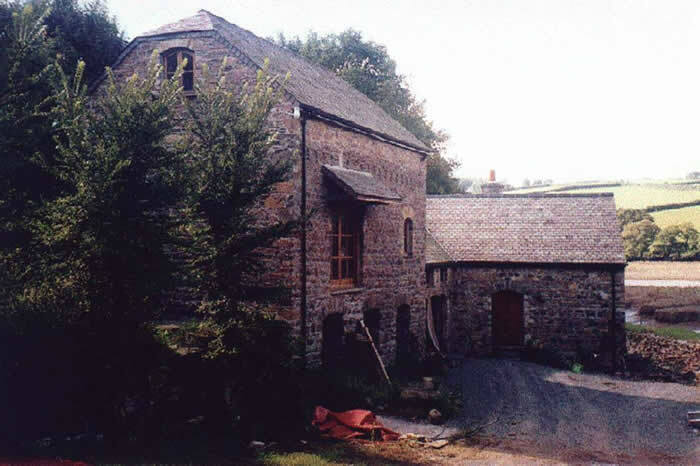 Instructions were taken to convert a 19th century once working barn into an annex to the main farmhouse. 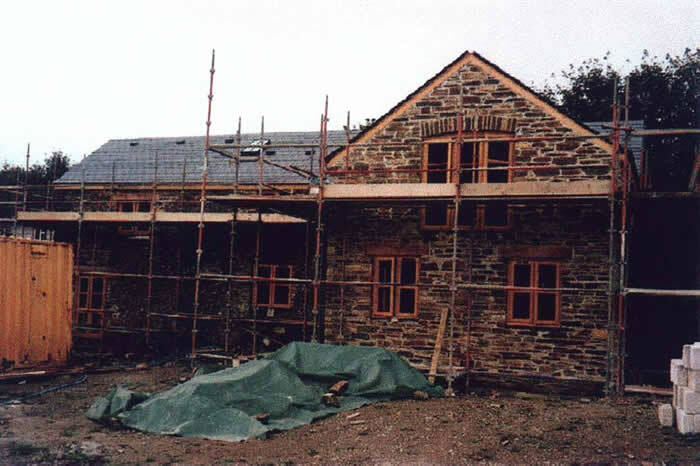 The philosophy was to retain the openings in the external walls of the barn in their entirety, adding very few openings therefore retaining the features. 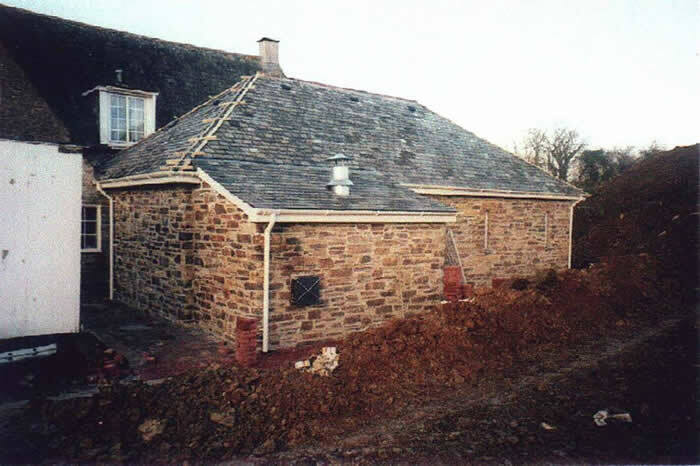 The roofs were re-covered and raised only minimally to allow for modern insulation to be installed therefore retaining its proportions. 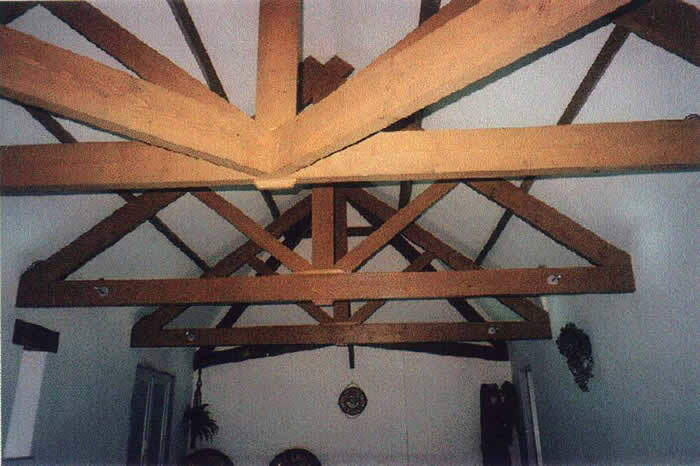 Traditional materials including salvaged and reclaimed materials were used along with traditional building methods. 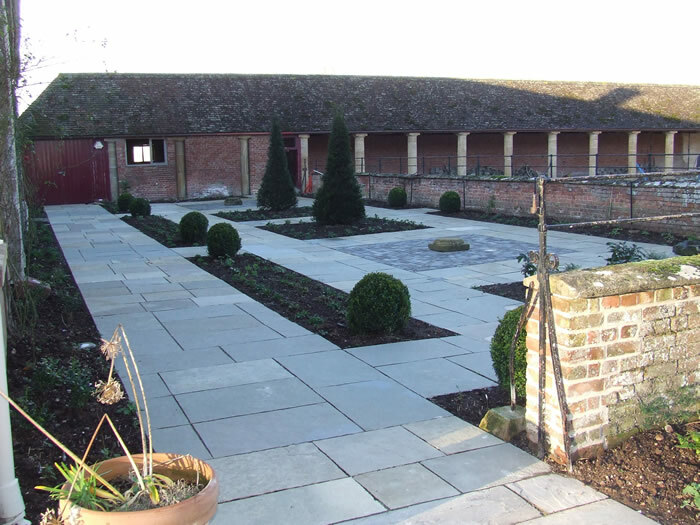 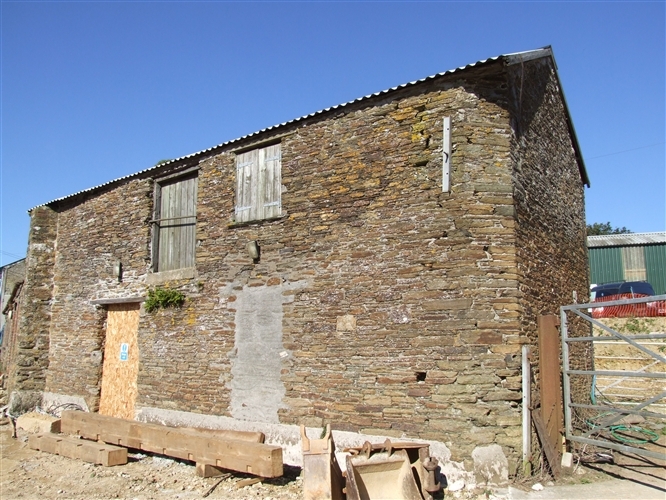 The project allowed for a redundant and beautifully located barn to be restored, maintained and converted for domestic use. 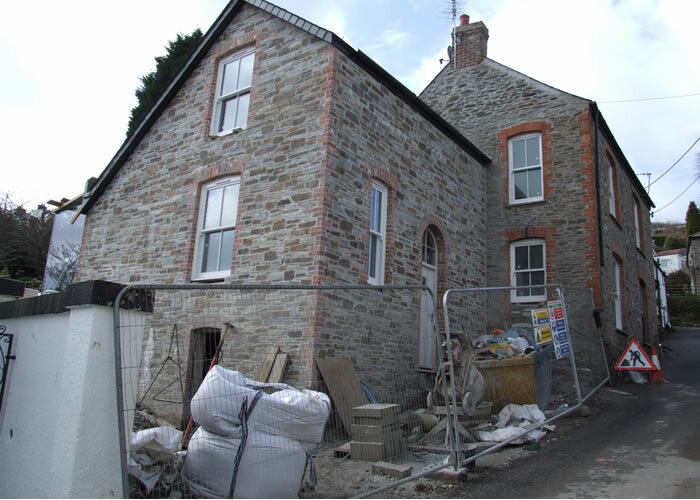 Reconstruction of cottage in Lostwithiel. 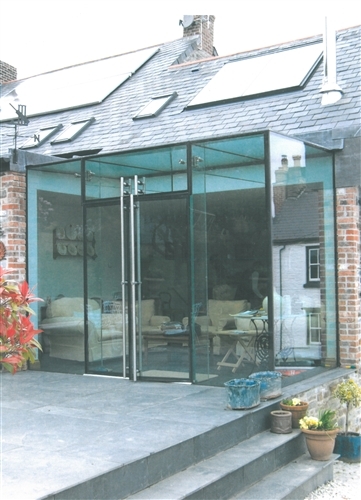 A sympathetic and modern approach was used when considering the extension of an existing two storey property. 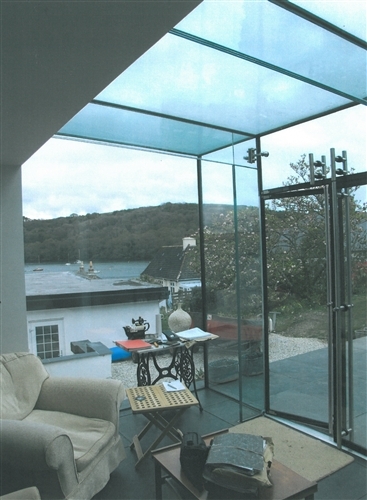 Access via the ground floor provided an opportunity to install a modern focal point to the property. 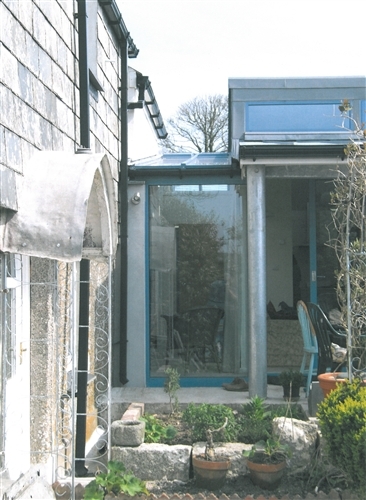 The materials used to construct the extension matched that of the parent building allowing the property to be viewed as a whole without distraction. 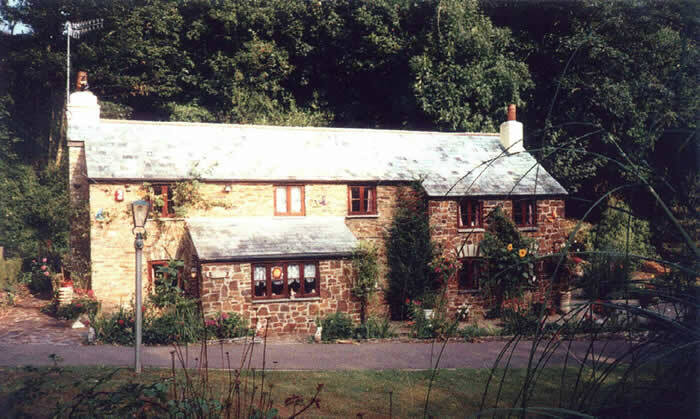 Extension and modernisation of a traditional cottage being in keeping and sympathetic to the local environment. 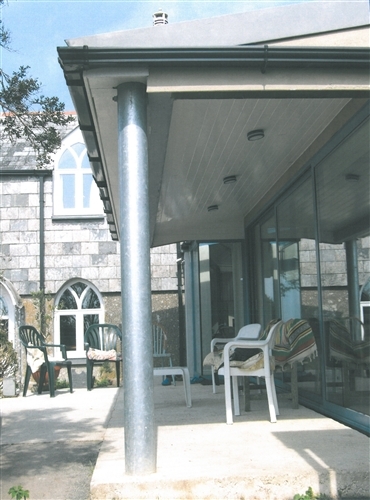 The use of local materials together with traditional detailing helped to maintain the Cornish vernacular of this old cottage. 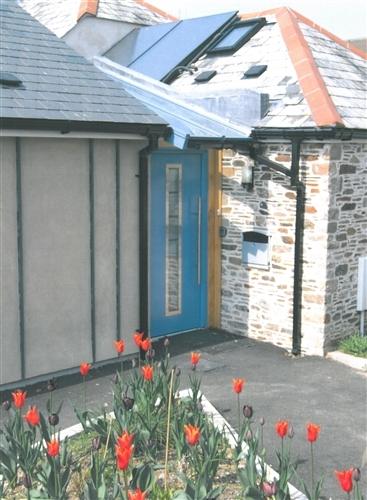 The design brief was to provide an extension to house a new swimming pool and support facilities to an existing converted schoolhouse. 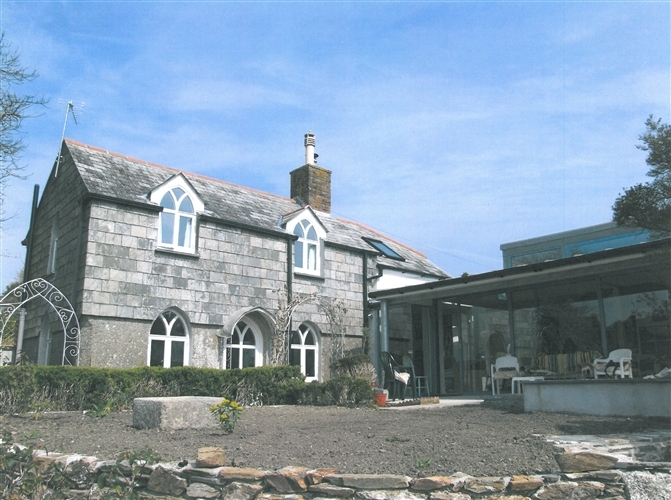 The converted schoolhouse was built around the twentieth century using natural materials that were available locally at that time and it was decided that the use of similar materials such as the slate and stone would be desirable. 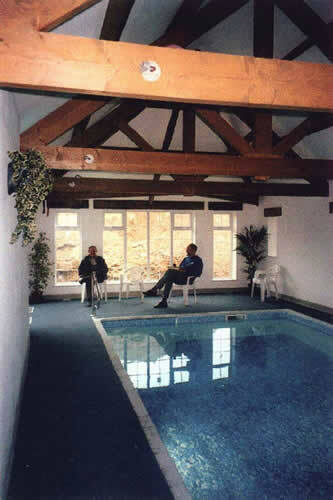 To provide an aesthetic and traditionally pleasing interior it was decided to build trusses that would be exposed to the pool area and incorporate a fibre optic lighting system. 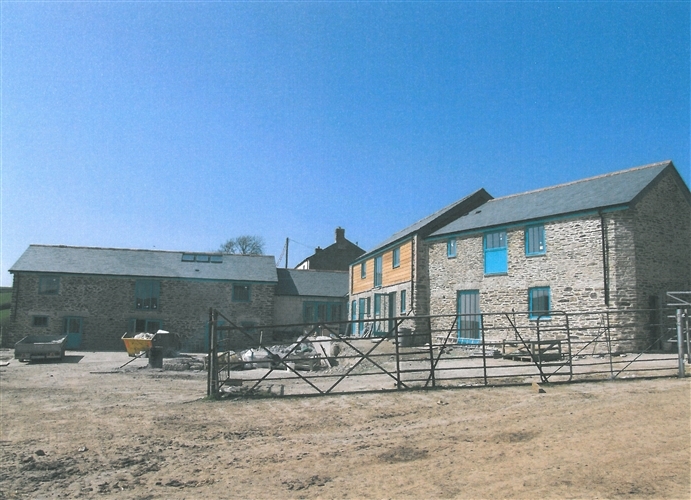 The brief involved the refurbishment of a farmhouse along with internal alterations and replacement windows. 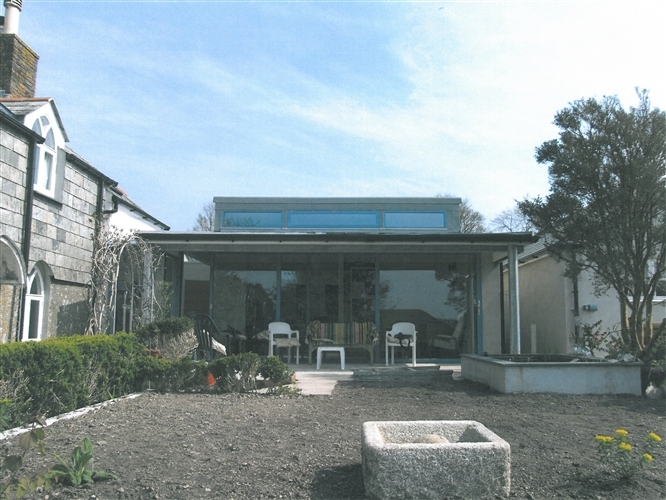 The philosophy was to retain the character of the existing property. 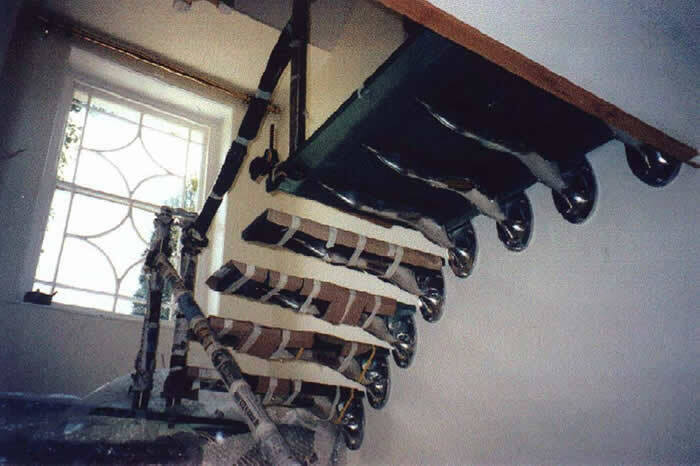 Existing windows were either repaired or replaced with purpose made windows to match the profiles which could not be repaired. 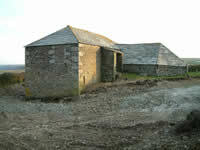 The out buildings to the original farmhouse were also converted. 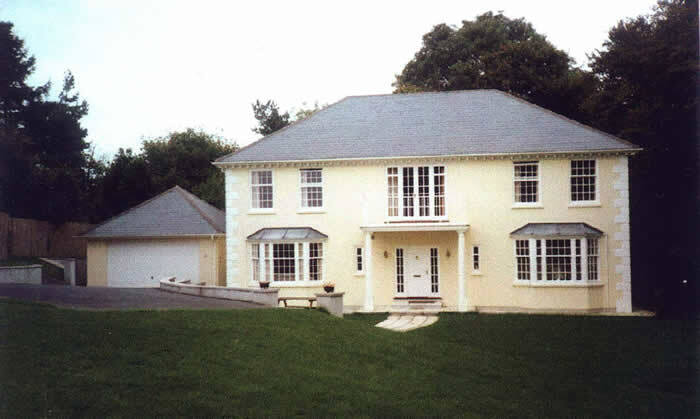 This property was constructed and designed around the clients family requirements and aspirations with regard to layout and style. 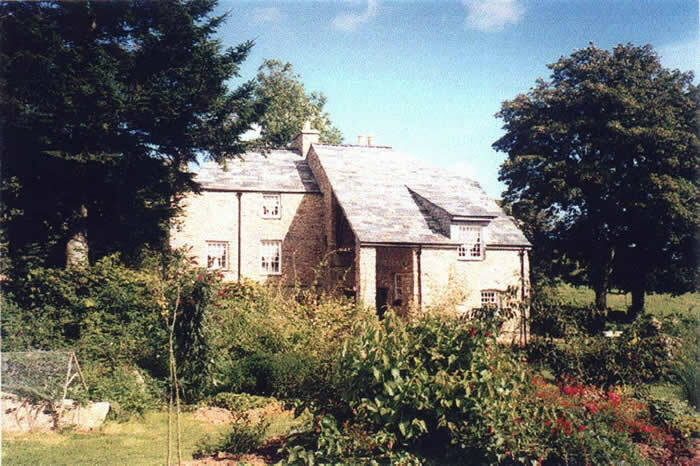 The design successfully made use of modern construction whilst using historic style and features and nestles in with the surrounding rural environment. 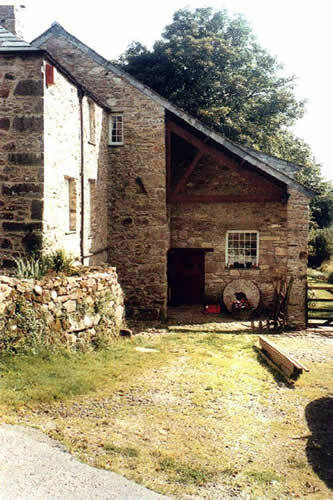 Trenouth Mill dates back to the 1700’s and was built to make the most of its surroundings. 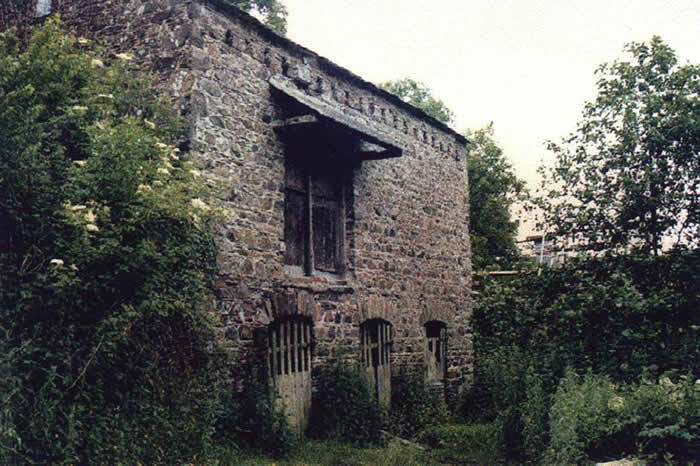 When the practice became involved, the mill stood derelict with the remains of it’s roof and upper floors laying rotting on the ground floor and the adjoining cottage, although standing the test of time better, was also in a state of disrepair. 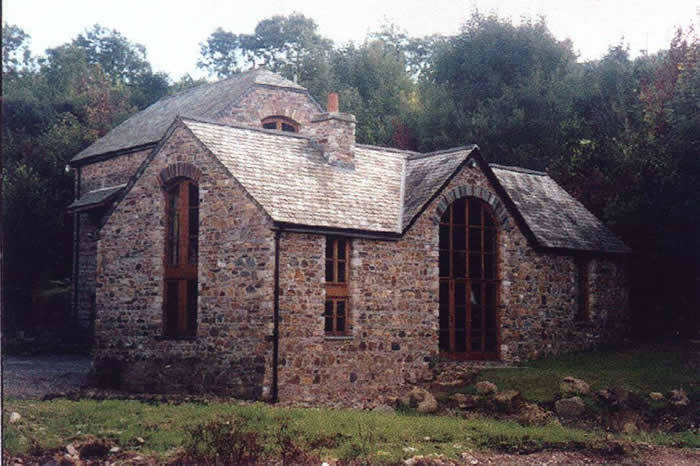 Our brief was to come up with a design that would not only bring the cottage up to modern living standards but also to incorporate the mill as an extension to the accommodation. 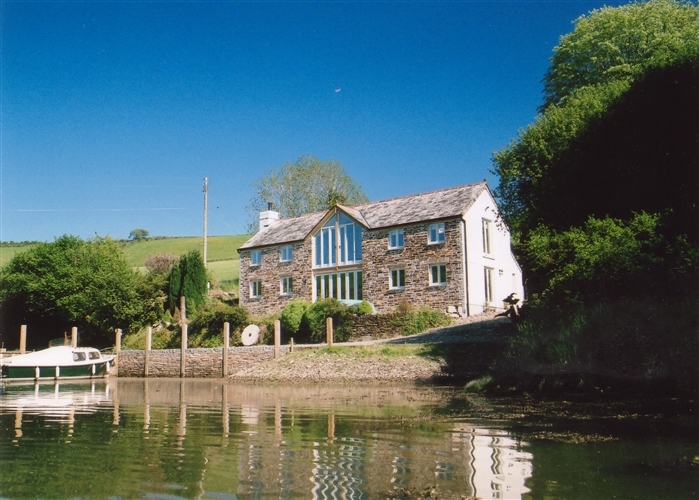 As an addition to this, the whole project needed to retain the original character of the buildings maintaining a visible separation between cottage and mill. 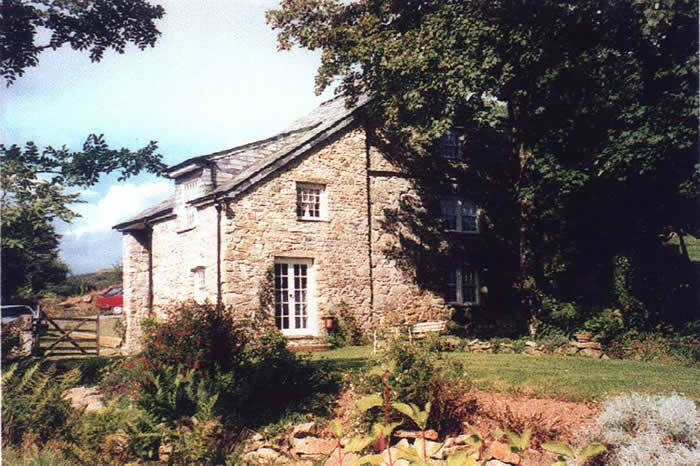 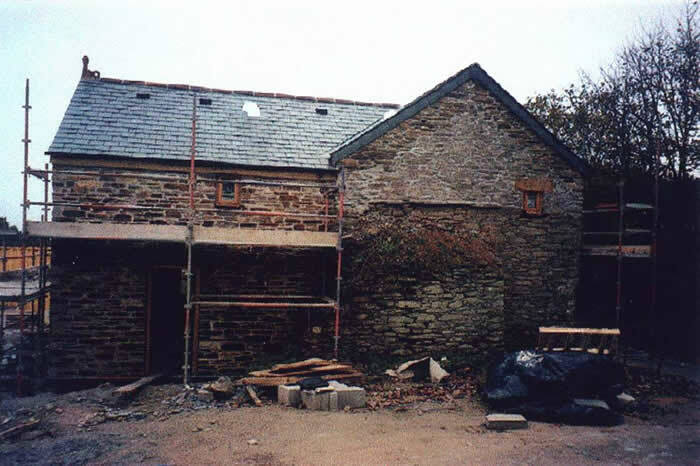 In 1993, this project attained the best scheme award in conversion of existing buildings category run by Caradon Design Awards and South West Water plc. 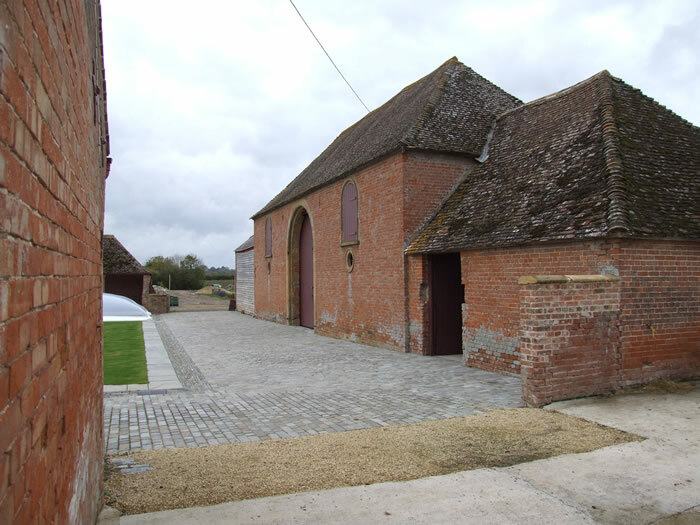 Although the practice has undertaken many barn conversions, it evaluates each one on its own merits and produces a design, which is exclusive to the barn in question. 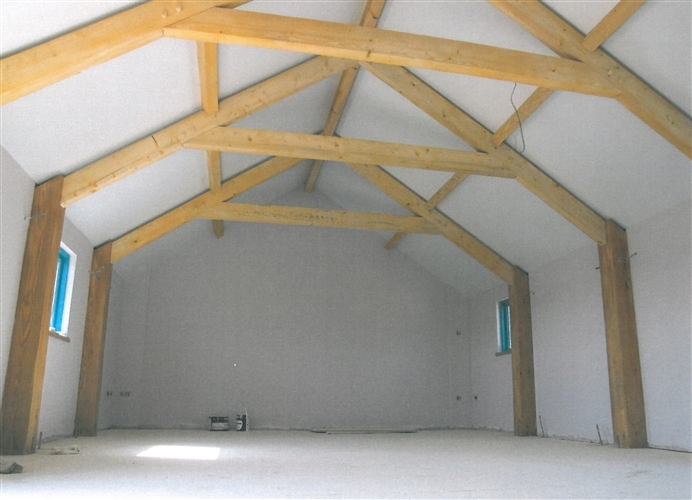 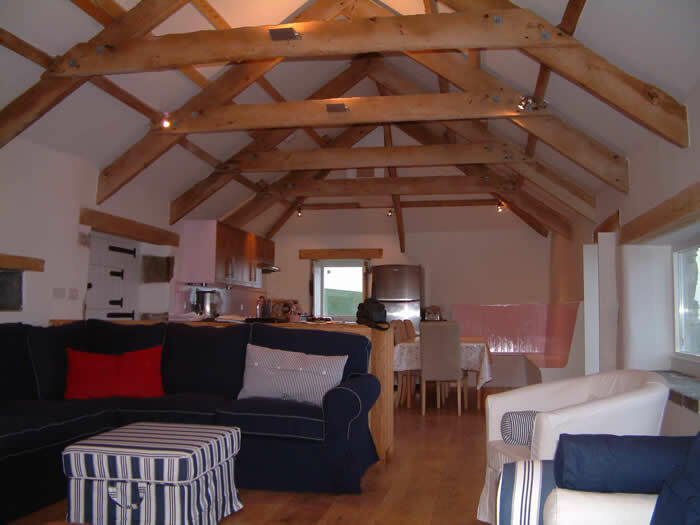 This barn standing detached from the main farmyard was in state of disrepair and it was evident that a substantial amount of building work would be needed to not only make it habitable but also provide structural stability. 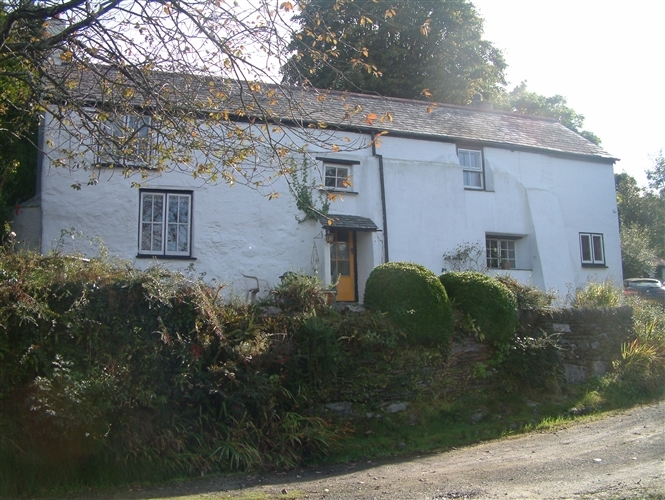 A new property nestling into a valley in East Looe, Cornwall. 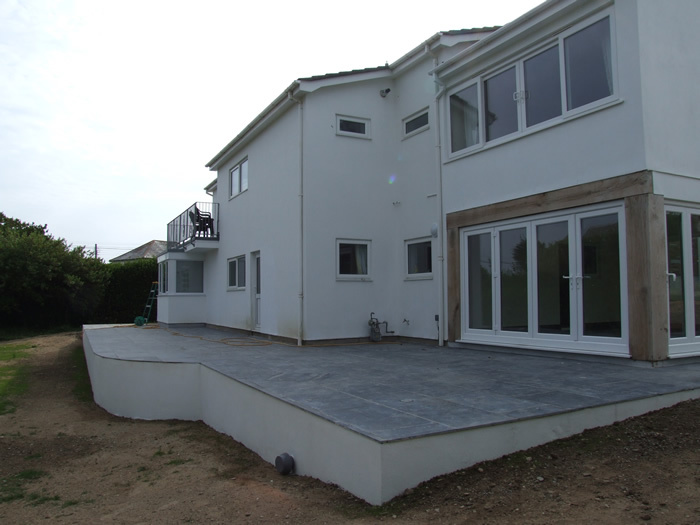 Due to the surrounding properties, it was important to keep the ridge height down as low as possible, whilst maintaining substantial usable space on the first floor. 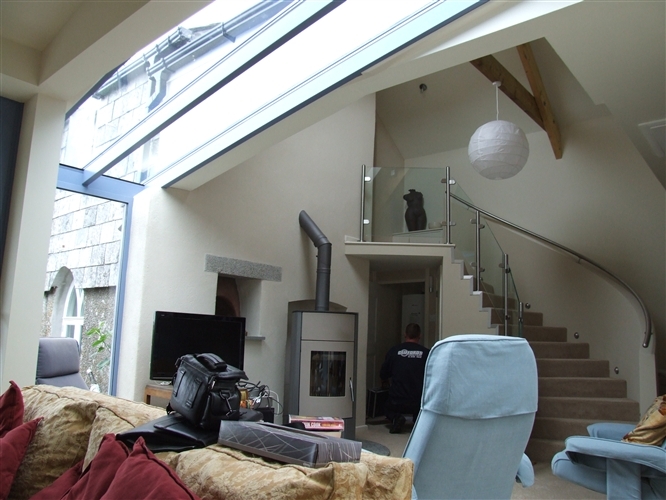 To achieve this, the first floor is situated within the roof space having dormer windows positioned to maximise the circulation space. 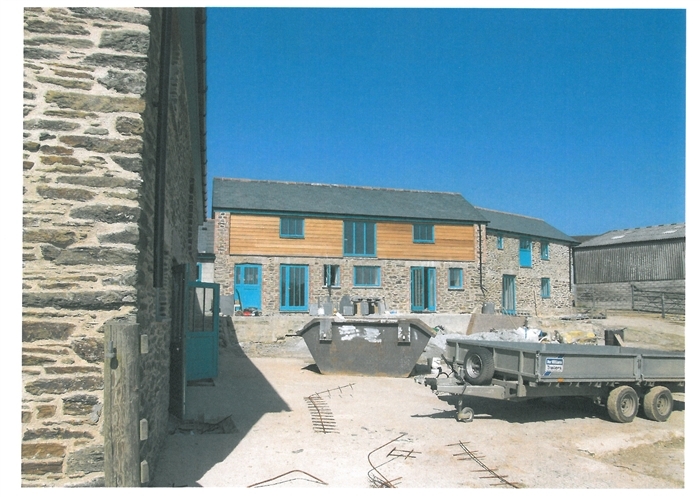 This property like many, required the use of natural materials to reflect the local traditional buidings.